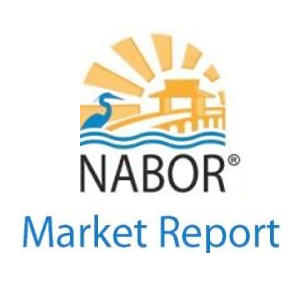 Naples Bundled golf Communities does not require any membership fee, your golf, and social membership is included in the sale of the property you are acquiring. but you are compelled to pay an annual due. 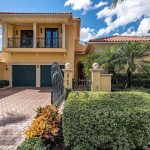 Glen Eagle Golf & Country Club is one of the private bundled golf and country club community in South Naples, situated off David Boulevard and 1-75. Within Glen Eagle are neighborhoods of single family homes, luxury condos, and detached villas. One of these bundled golf communities is Lago Villaggio, it is a first class residential community inside the prestigious golf club. Lago Villaggio at Glen Eagle has equal access to the club amenities. 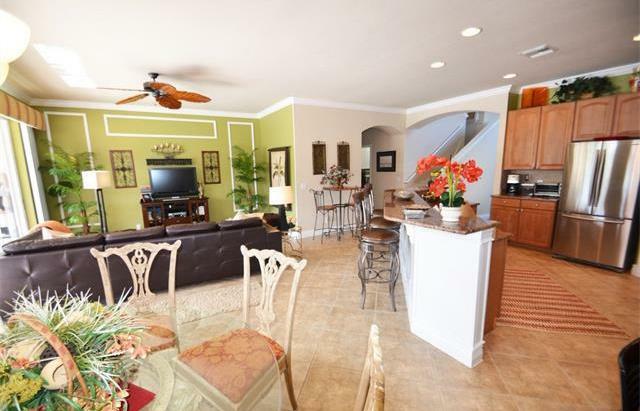 A turnkey home located at a prime lot of Lago Villaggio, this elegant and spacious home has it all. 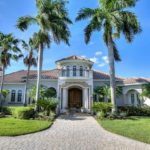 Entering this well-maintained home, you will immediately notice the soaring 18-foot ceiling with high arched top windows illuminating the front living area. Crown molding, wood plantation shutters, raised baseboards and decorative wainscoting upgrades make this home more elegant. Master bedroom feature a high-quality hand scraped maple engineered hardwood bed and study tables, home accent and spacious sitting area. The living area has elegant leather sofa set complemented with expensive home accents. Gourmet kitchen feature includes granite tops, built-in cabinets, and high-end Samsung stainless steel appliances. Enjoy the gorgeous lake view and sunsets from your private heated pool and spa with a lush forested preserve beyond for added privacy. Being a member of Glen Eagle Golf & Country Club, you are entitled to enjoy the upscale lifestyle that includes the best in golf and the four Har-Tru tennis court. The clubhouse complex has meeting rooms, card room, and a billiard room; the Pro Shop for your golf needs, the restaurant which includes a small private dining room, lanai, main dining room, and lounge; a fitness center and divot. Lago Villaggio at Glen Eagle is full of luxurious amenities enjoyed by every resident. Glen Eagle Golf & Country Club is a gated and private bundled golf and country club community in beautiful South Naples, Florida. Glen Eagle Golf & Country Club is just a short drive to the breathtaking beaches and waters of the Gulf of Mexico, Naples Bay, five-star luxury hotels, private hospitals, medical facilities, schools, upscale shopping and fine dining at The Village on Venetian Bay. 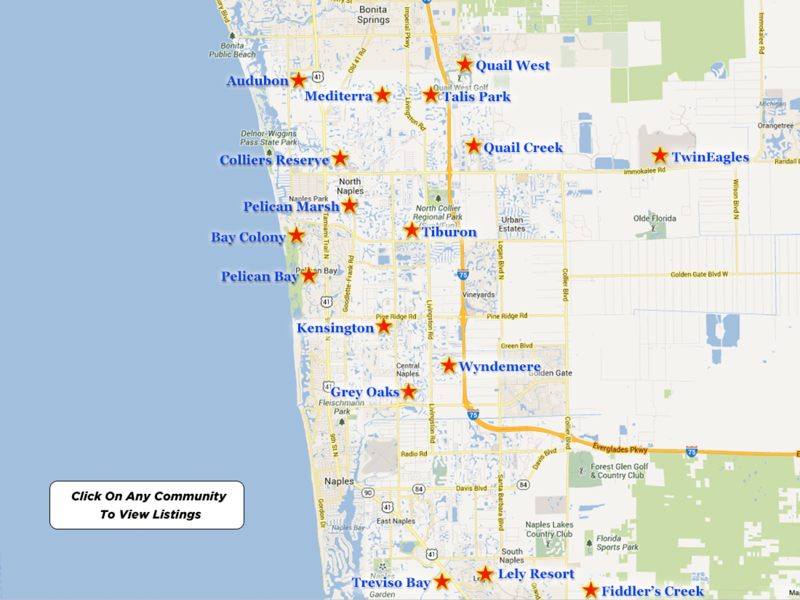 The main entrance of Glen Eagle is near the Waterside Shops, The Coastal Mall, shopping areas of Fifth Avenue South and Third Street South, and to all downtown Naples facilities and attraction.